With over thirty-five years in the making, hip-hop has grown and developed into a global phenomenon. Despite its global expansion from the Bronx, New York, in the 1970s, the hip-hop arts confront criticism, both aesthetically and culturally. Repeatedly criticized as an art that glorifies misogyny, pimping, prostitution, objectification of women, crime, homophobia, and other forms of discrimination, scholars denounce the hip-hop arts as ignorant, offensive garbage, devoid of any aesthetics and culture. However, this is a limited, one-sided view of the hip-hop arts and culture. From local urban streets to global metropolitan stages, the hip-hop arts and culture continue to evolve many artistic and cultural traditions from across the globe, which are in opposition with the image of commercial, media-driven hip-hop. Through its commercial, media- driven image, which rap music represents, hip-hop identifies with that which is unaesthetic and not cultural. The dissertation argues that the hip-hop arts, especially hip- hop theatre, return to an aesthetic sensibility. Additionally, the hip-hop arts return to a somatic and sustainable sensibility to combat conditions of crisis in culture. Beginning in aesthetic philosophy, and moving forward with aesthetic spirituality and psychology, and cultural studies and criticism, the study applies a hermeneutic and creative/artistic method. In the theoretical component, the study describes several bodies of literature: (1) aesthetics, (2) cultural studies, and (3) criticism. The amplification of the hip-hop arts perspective in these bodies: aesthetics, cultural studies, and criticism, identifies the hip- hop arts as a platform for change. In amplifying the hip-hop perspective, the hip-hop arts maintain an artistic function and a cultural function grounded in the etymology of hip- hop: movement in the know, in the now. Movement in the know, in the now serves as a vital function for artistic and cultural expression. The theoretical component concludes that tending to hip-hop may serve the future as an alternative perspective across the globe. 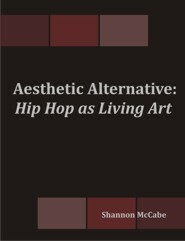 The study closes with a production component that calls for hip-hop literature as an alternative mode of criticism that imagines an aesthetic culture and cosmos. 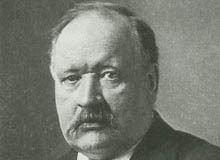 Arrhenius's Ph.D. thesis did not impress his professors, among whom was Per Teodor Cleve, and he received a fourth class degree, but upon his defence it was reclassified as third class. Later, extensions of this very work would earn him the 1903 Nobel Prize in Chemistry. Today, he is known for his theory of electrolytic dissociation and his model of the greenhouse effect.